Laryngosternopexy is a suturing method between the thyroid lamina and sternal ligament in order to relieve tension from the anastomosis when performing segmental resection of the airway. A thick absorbable monofilament suture is passed through thyroid lamina and the interclavicular ligament of the sternum in a figure of eight fashion as described by Castellanos.1,2 In laryngosternopexy, the suture support is ventral to the anastomotic site in the midline. However, this places the “pexy” sutures in the way, making a tracheotomy and second stage decannulation difficult. 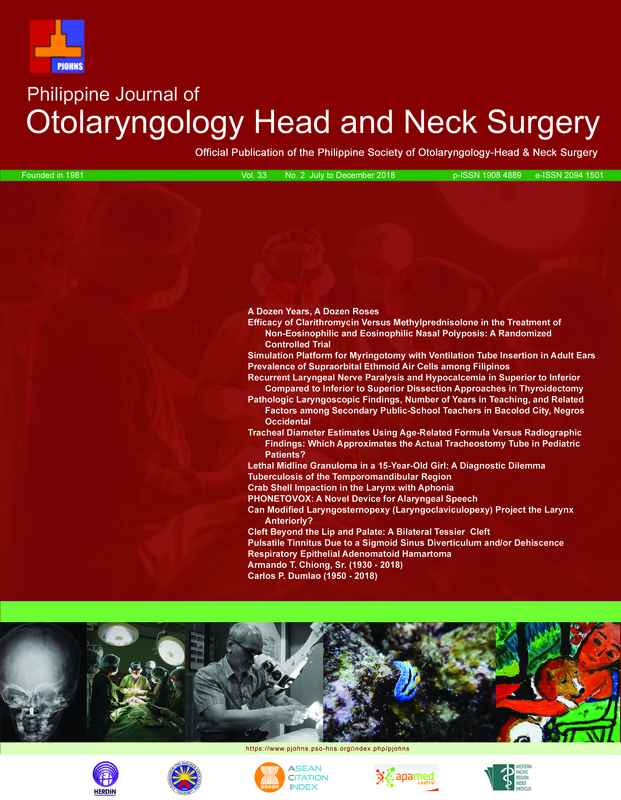 We describe a modified laryngosternopexy (laryngoclaviculopexy) that can be performed with the “pexy” sutures out of the way to allow access to the trachea, and our initial experience with three patients.